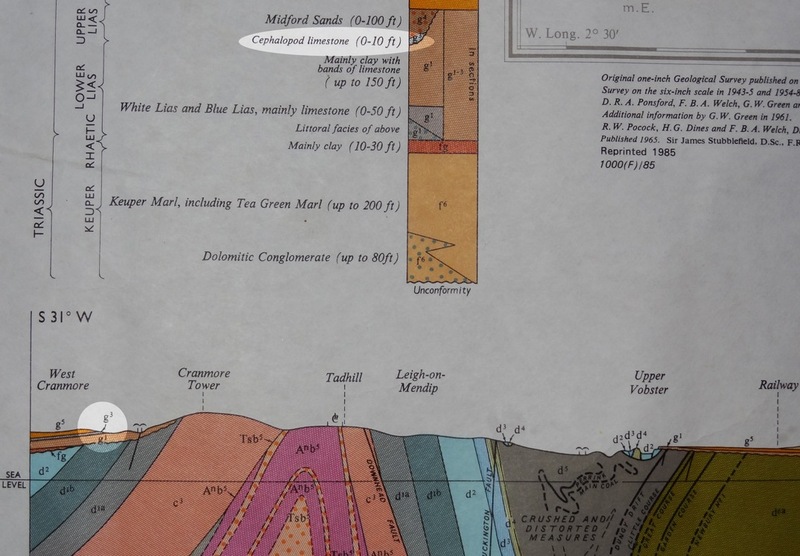 While visiting friends in Somerset, we were invited to a neighbor's house for drinks and I was gifted with a two geological maps, one for the local quadrant of Frome. Looking at the map with my friend Charles, I noticed an tiny outcrop called the "cephalopod limestone" only two miles from the house of our friends. So we went in search of the "cephalopod limestone". The tiny boomerang shaped section in light blue (g3) is the cephalopod limestone. The road going east-west is A361. According to the map, the strata should outcrop across the A-361 just west of Dean. We first looked around on both sides of the road just west of the church in Dean, finding no indication of any exposure. 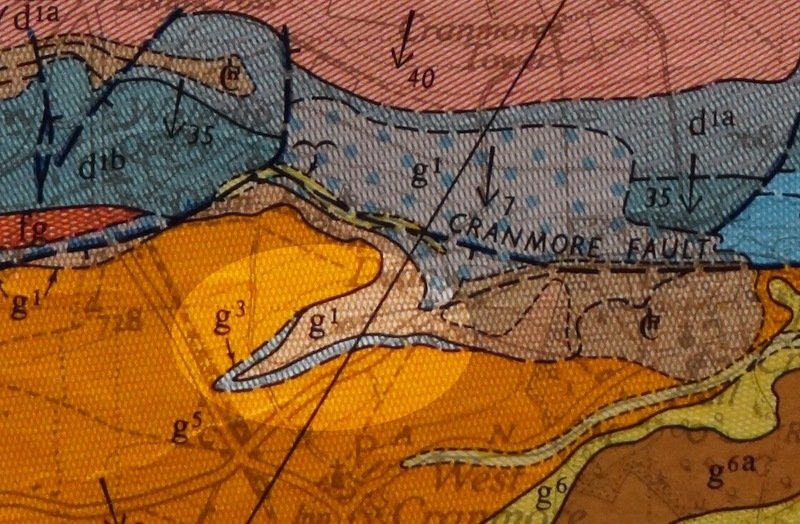 Rechecking map, we noticed that the strata cuts twice across a small lane on the north side of A-361, closer to Cranmore. 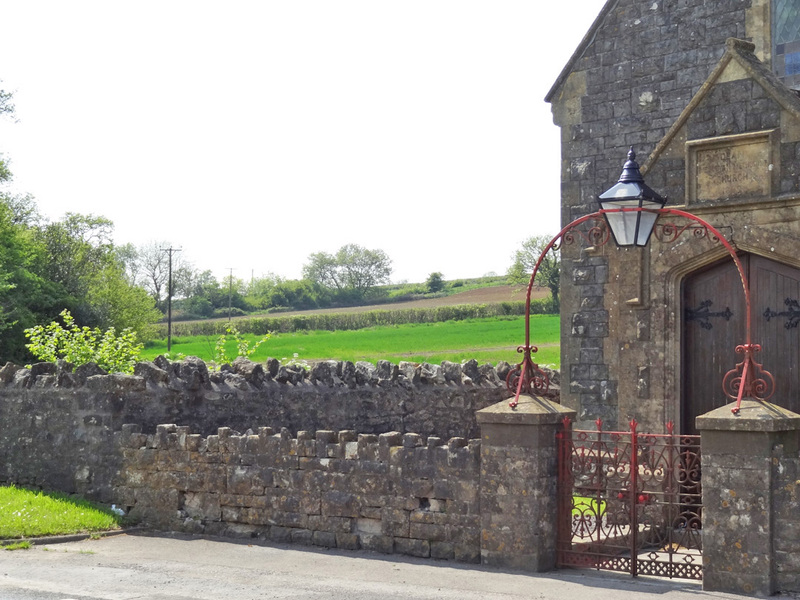 We went west a bit along the A361 a bit and found the unmarked Castle lane, which is opposite to Cooks Lane that leads to Cranmore. 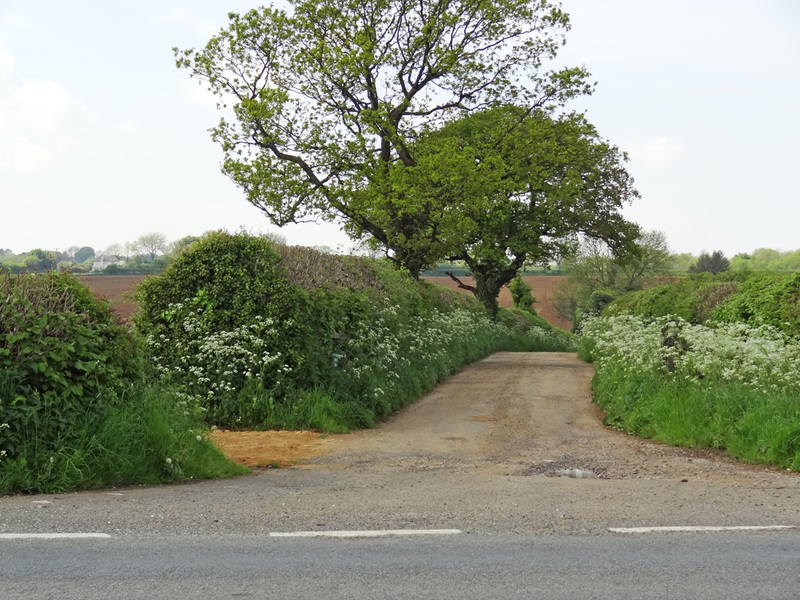 The strata should outcrop on both sides of the lane about 100 yards from the main road. On the west side of Castle lane the strata should outcrop in this field, laterally along near and far sides of the drainage. 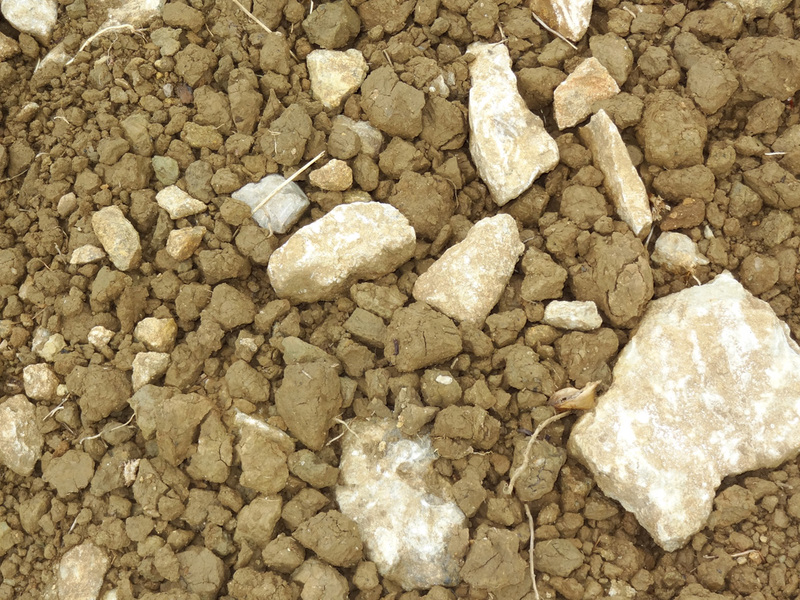 Fortunately, the soil had been recently turned and the field showed lots of white rocks mixed in with the soil. 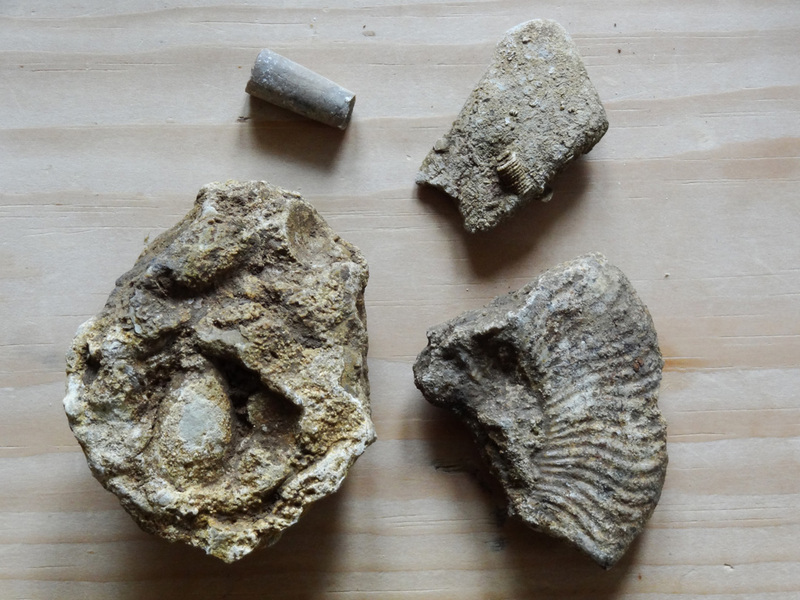 Examination of the rocks show a white limestone with many traces of fossils. I found this sampling within about 15 minutes of inspecting the rocks in the field. My thanks to Kit Allen for the map and to Charles Kitson for the adventure.